The Turkish bath section of the 2000-year-old ancient city of Sebastopolis in the Sulusaray district of Tokat has been unearthed. With the collaboration of the Museum Directorate and Gaziosmanpaşa University, (GOÜ) the works conducted to reveal the ancient city continue at the Turkish bath section. Şengül Dilek Ful, an academic member at Gaziosmanpaşa University Faculty of Letters and Sciences Department of Art History, told Anadolu Agency (AA) that this year's excavations in Sebastopolis' Ancient City were carried out with a team of 28 people. Noting that the excavations have been going on for five years, Ful said that it was their sixth year of work. She added that they carried out excavations for two months each year and this year's work will end in 28 days. The excavations will come to an end this month. "The plan of the ancient city's bath section is ready. We started our work in the eastern and southern parts of the bath. The whole of the bath is now fully revealed. We will understand it better when we complete the excavations at clear cut areas." Ful also noted that the world is also interested in the excavations and Prince Charles has visited the ancient city twice. 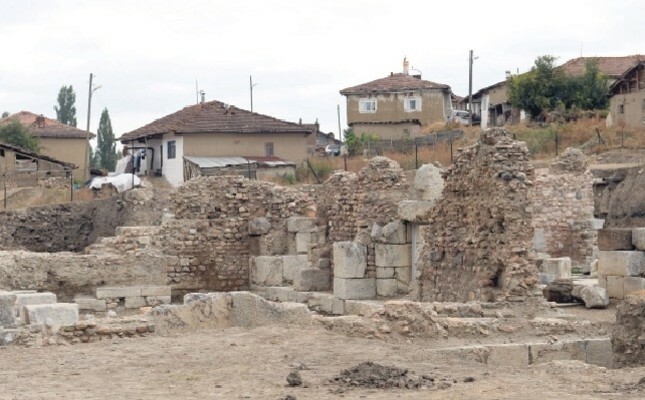 Provincial Director of Culture and Tourism Adam Çakır said that as a part of Turkey's archaeological wealth the excavations in the ancient city of Sebastopolis, an important city for its Roman and Byzantine ruins, will continue. Çakır stated that the expropriation studies related to the excavations are continuing and further added: "Excavation work will continue for many years here. The work will go on at the ancient city's bath and church sections. Our aim is to uncover the whole city. We need to uncover more monumental structures. Our goal is to display these constructions." Located in Sulusara, 69 kilometers from the city center, the ancient site, of which the foundation date is unknown, is said to have been established in the first century according to most sources. Sebastopolis, which was separated from the states of Pontus Galatius and Polemoniacus at around 98-117 A.C. during the reign of Roman Emperor Trajan, was included in the state of Cappadocia and since it is located on the through roads of the times and with the thermal resources, it was one of the five largest cities of the Black Sea around 2000 years ago. Sebastopolis, which had the privilege that very few cities had in that period as a demonstration of wealth, has lost its former significance as a consequence of the destruction brought about by various wars, natural disasters and the changing of travel routes. The drilling work that started in 1986 with the Tokat Museum Directorate in the ancient city continued until 1991 as a rescue excavation in the following years. The work was suspended in 1991 and resumed in 2012.